Former St. Louis Rams coach Mike Martz was introduced Thursday as the coach of San Diego’s team in the Alliance of American Football. 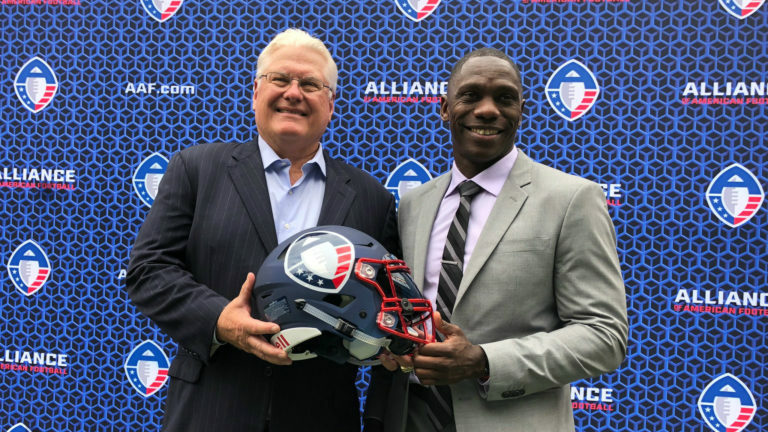 Fans may make $50 deposits for season tickets by calling (833) AAF-2019 or online at AAF.com. “The Alliance of American Football represents a fundamental shift in the way we approach professional sports,” he said. “We believe fans and players are what’s most important, so our approach is simple — we’ve created an alliance where fans and players share in the success of their teams. In an attempt to increase player safety, the league will not have kickoffs. Instead, teams will start with the ball on their own 25-yard lines to start a game or second half or after allowing a score. Instead of an onside kick, the trailing team will receive the ball on its own 35-yard line, facing fourth down and 10.